The roots of LexTechs of Atlanta began in January of 1997 with an ES300 many of you might have driven. My mother had been on the hunt for a new vehicle and I was adamant, even though not yet able to drive, that she purchase the new model Lexus ES300. I being born a gear head had done all the research for her through various car publications I had subscriptions to. She considered other makes and models but I assured her Lexus was THE only way to go. Fast forward several years and I had started my career as a Lexus technician and had been maintaining the ES300 for several years. My Mom was in outside sales so the miles piled up fast, but the car kept performing and driving as though it was new. Having a son who was a Lexus technician was a nice assurance to make sure anything the car ever needed it got. In January of 2008 we lost my mother to breast cancer and I inherited the vehicle. It now had almost 300,000 miles but I still drove it every day even taking on a road trip to Austin, Texas and back. I had supreme confidence in the vehicle and knew it had been maintained the right way and would never leave me stranded. In January of 2010 I achieved one of my most important professional goals: opening my own Lexus repair shop; The 1997 ES300 of course came along with me. Finally, a year or two later we decide to put the vehicle into our loaner fleet. I felt it was such a great testament to Lexus quality and a perfect example of how good a well maintained 300,000+ mile Lexus could be. 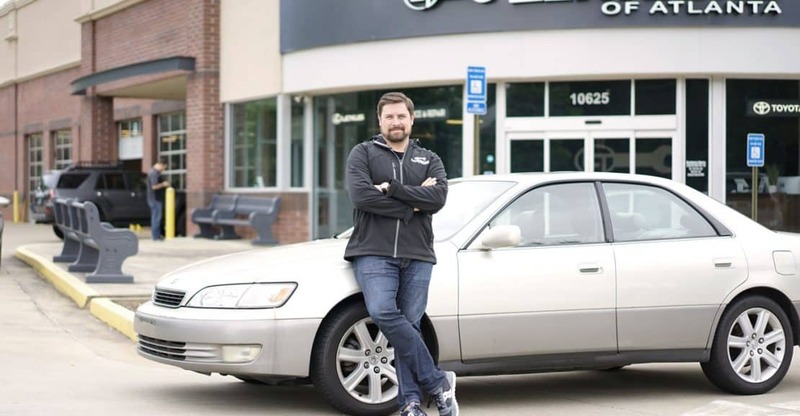 We have always enjoyed sharing the story of how we came to have the car in our loaner fleet and have always enjoyed the compliments and often times amazement on how great the vehicle performs and rides despite the years and mileage it has accrued. I hope many of you have gotten to drive and experience this vehicle, most likely there would be no LexTechs of Atlanta without it.